NewsBTC has added the blockchain industry veteran and CEO of Coinsilium to its Board of Advisors. NewsBTC expands its Board of Advisors, this time bringing in blockchain specialist and investor, Eddy Travia. Mr. Travia is the latest addition to the cryptocurrency and blockchain-focused media company’s team, who joins NewsBTC as part of its Board of Advisors. Mr. Travia is one of the industry’s foremost experts on blockchain technology, known as an investor and advisor to numerous leading blockchain companies. As a member of NewsBTC’s Board of Advisors, he will serve an integral role in advising on the group’s expansion plans. In this capacity, the group will greatly benefit from his vast knowledge and experience in the blockchain and cryptocurrency space. The addition of Mr. Travia follows after last month’s round of hires at NewsBTC, which saw the group on-board several marquee hires, including veteran journalists, business developers and financial analysts. NewsBTC has quickly and deftly built up one of the industry’s deepest rosters of talent, paving the way for a fresh expansion in the second half of the year and beyond. 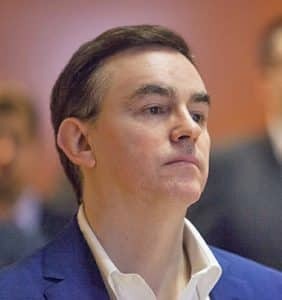 Mr. Travia presently serves as the Chief Executive Officer (CEO) of London-based investment company and accelerator Coinsilium, having held the role for over three years. He has also successfully co-founded multiple ventures, including Block Chain Space and Seedcoin and has led investments for Coinsilium in Factom, RSK, SatoshiPay, Minebox, among others. Additionally, Mr. Travia holds advisory roles at CoinDash and Indorse, two recent additions to Coinsilium’s portfolio. 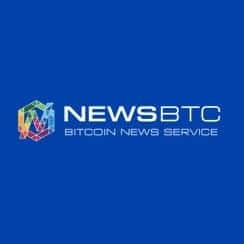 NewsBTC recently made headlines last week, having been present as a key exhibitor at the Blockchain Technology and Cryptocurrency conference (BTCC) in Mumbai. The event featured over 90 participating companies from the cryptocurrency industry. NewsBTC’s presence signals an expansion of its market focus and penetration into SouthEast Asia and India, one of the fastest growing regions for blockchain activities.